Increasing by a fifth in the last ten years, 1.5 million workers are now shunning the office to work from home. Improved working conditions and hours of work, coupled with no or little commuting and a better family/work life balance, it is no wonder that an increase of people working from home continues to grow. But there can be a sticking point – a lack of working space. Whether you are employed and work from home, or run your own burgeoning empire, many a business started in the garage – like printer specialists Hewlett Packard – or from the kitchen table. Whilst this is great, it is not always the best place in the longer term. Hunched over your laptop on the sofa whilst wearing pyjamas is not conducive to super-productivity. And this is why home workers are now turning to home renovations as a means of improving or extending their property. From existing properties to bespoke build solutions, creating not only extra space but the right kind of room from which to work is vitally important. As well as discipline to work from home, you need space. But where will you find it? 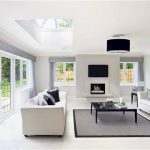 Loft conversions – this can be the cheaper option as much of the structure is already in situ. In some cases, it is a case of creating appropriate access, along with adding utilities. Great for larger properties with a large enough loft, complete with plenty of head height. Some newer build properties may struggle with size. To the side – adding an extra room can also be a case of refurbishing and renovating an existing space that is underused, such as the garage. With a sound structure, it can be a case of insulating and adding utilities etc. For older garages, demolition and a new build may be required. Great for existing single garages that are unable to accommodate a modern car (many can’t!). Will prove more expensive if the structure needs knocking down and re-building. In the garden – some homeworkers are choosing to add a separate building in the garden. From kitting out a garden shed with insulation to building a garden room, there are numerous options, subject to planning. Great for adding value and versatile space, garden rooms are an increasingly popular addition to a home. Not a solution if you don’t have space or planning permission is denied. If you could create a bespoke workspace at home, what would you opt for?